Aadhar Card or any other identity proof. Photocopy and original admit card. Photocopy of all original Mark sheets. Residence certificate of Himachal Pradesh. Himachal Pradesh Technical University conducting HPCET 2019 for admission into B. 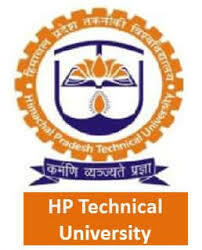 Tech and M. Tech courses in various colleges of Himachal Pradesh, which are affilated by HPTU. The HPCET 2019 counselling will start after declaration of HPCET 2019 Result and HPCET 2019 Merit list. HPCET 2019 counselling will consist of two rounds. For admission into B. Tech courses, counselling will take place via three criteria i.e. HPCET 2019, JEE Main 2019 and 10+2 examination score. And for admission into M. Tech courses, counselling will take place vis three criteria i.e. HPCET 2019, GATE 2019 and B. Tech/ B.E score. Schedule: The first two rounds of counselling will be conducted for the students applying via the JEE Main 2019 scores and the next round of counselling will be conducted on the basis of HPCET 2019 merit list. Merit list: The merit list will be published on the official website after HPCET 2019 result. Procedure: The candidates, who are shortlisted for the HPCET 2019 entrance test will be called for Counselling. The deserving candidates will be allotted seats in the University and its affiliated Colleges on the basis of HPCET 2019 rank secured by them. Document Verification: The Verification of Documents will also be done at the time of counselling process. Seat Allocation: The seats will be allotted on the basis of the choice of courses and college for admission. Reservation: Seats will be reserved for JEE Main. 15% for General categorise candidates and 10 % for ST/SC/OBC cstegorise candidates. Certificate of having passed the qualifying examination. Marks-sheet issued by the Board/University. Matriculation/Higher Secondary Part-I/Indian School Certificates showing the date of birth. National Level Entrance Examination/HPCET 2019 Score Card. Bonafide/Domicile Certificate issued by the concerned Sub-Divisional Magistrate/Executive Magistrate. Reserved Category Certificate issued by the Competent Authority, if applicable. Physically Challenged Certificate issued by the Competent Authority, if applicable. An undertaking/affidavit attested by the Executive Magistrate if applied under Beti Hai Anmol Scheme. Kashmiri Migrants and domicile certificate issued by Competent Authority, if applied under Supernumerary Kashmiri Migrant Quota. H.P. Technical University Fee: Applicants of HPCET 2019 admitted to any UG or PG program has to pay a non-refundable fee of Rs. 3,000/- per year as University Fee and Rs. 1,500/- as one-time University Registration Fee. Mode: The University Fee has to be paid at the time of HPCET 2019 counselling either in the form of demand draft drawn in favour of the Finance Officer, H.P. Technical University payable at Hamirpur or through POS (Point of Sales) Machine (without any extra charge) using Debit/Credit Card of any bank on the spot. It will be adjusted towards final payment of fee at the respective College/Institute. The University Registration fee shall be deposited in the host institution for further transmission to the University along with necessary documents of the concerned students. Notification: The Fee and other charges to be deposited by the HPCET 2019 applicants in the Government/Private Colleges or Institutions will be as notified by the Government of Himachal Pradesh. Extra fee: No Institution will charge any amount over and above the fee fixed by the Government and University (Details as per Appendix VII). Any violation in this regard would tantamount to charging capitation fee leading to penal action against the defaulting institution. Female candidates: The female candidates of HPCET 2019 admitted to Govt. College(s) and University Off Campuses (other than self-financing courses) are exempted from paying of Tuition fee. Incentives for physically challenged: Physically Challenged HPCET 2019 applicants admitted to Govt. College (s) and Off Campuses (other than self- financing courses) are exempted from paying of Admission & Tuition fee. Here, You can apply for HPCET counseling2018 required documents to be carried and HPCET Counseling 2018 process is here to apply.